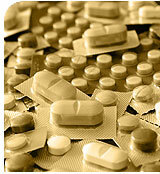 Tiagabine® or Gabitril is one of the newer anti-epileptic drugs (AED’s). It is available in tablet form in multiple dosages.The medication is felt to work by increasing GABA, an inhibitory neurotransmitter, levels. It does not cause any major side effects affecting liver, bone marrow, etc. It does have some limited drug interactions with some of the other antiepileptic medications but does not generally affect other medications. Its most common dose limiting side effect is sedation.In epilepsy, the medication is indicated for partial onset seizures. There have been rare reports of it causing problems in patients with generalized seizures.